A few weeks ago, we talked about the 2020 Nissan Qashqai that was unveiled at the Chicago Auto Show. However, this model has not arrived yet and for the moment, it is the 2019 Nissan Qashqai that we have to offer you at Half-Way Motors. 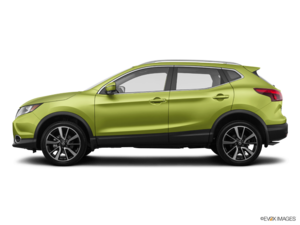 Launched in 2017, the Nissan Qashqai is a compact SUV that is among the most spacious in its class. A quick comparison with the rest of the models of the segment will confirm it. For 2019, it also receives several improvements that make it even more interesting for his future owners. Among the Qashqai's new features is the addition of Apple CarPlay and Android Auto which are now standard, as well as the Divide-N-Hide cargo organization system. Next are driver assistance technologies such as automatic braking, blind spot monitoring system, rear cross traffic monitoring system, and rear vehicle monitoring system called Rear-Door alert. The 2019 Nissan Qashqai has more equipment, but what hasn’t changed in the compact SUV’s interior space and versatility. There is still over 600 liters of cargo space behind the rear seats. 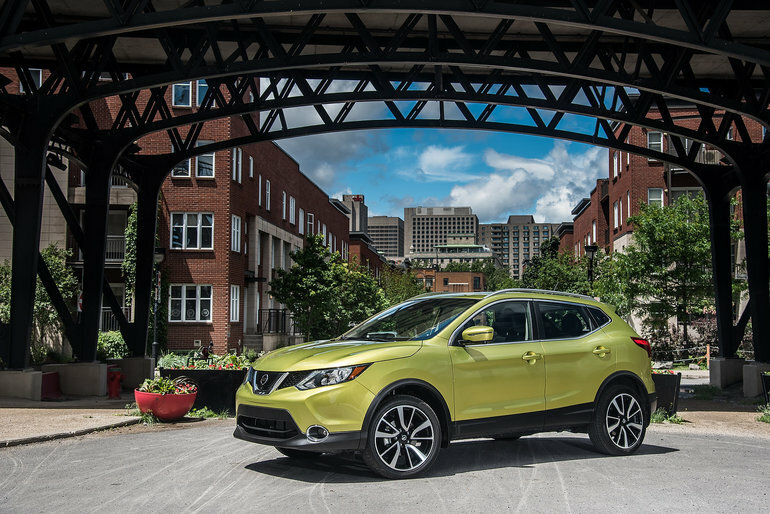 The Qashqai is powered by a 2.0-liter four-cylinder engine that develops 141 horsepower and 147 lb-ft of torque. It has an average fuel consumption rating of only 7.3 liters per 100 kilometers on the highway, and 8.8 liters per 100 kilometers in the city with the automatic continuously variable transmission in FWD models. Fuel economy is still very impressive when you have all-wheel drive, and the Qashqai remains one of the most fuel-efficient models in its segment. The new Qashqai is always offered in three versions with a starting price that is lower than most of its competitors. To learn more about the new 2019 Nissan Qashqai, contact us today at Half-Way Motors Nissan!